Inside Asian Gaming is Asia’s premier B2B digital and print industry publication for the leisure and gaming sector. 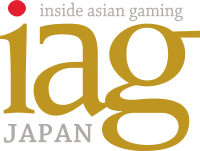 Founded in 2005, IAG has a broad business editorial focus on the Asian gaming and integrated resort industry. It is widely distributed to industry executives throughout Macau and the rest of Asia in two formats: a monthly digital and print magazine and a daily e-newsletter titled IAG Breakfast Briefing, delivered at 8am Macau time each weekday. IAG also publishes special magazine editions for G2E Asia each May and the Macao Gaming Show each November. In January 2019 Inside Asian Gaming launched IAG Japan to cover the burgeoning Integrated Resort industry in Japan. IAG Japan publishes in two formats: a monthly Japanese and English fully bilingual digital magazine and a Japanese language daily e-newsletter titled IAG Daily Briefing, which is sent at midday Tokyo time each weekday. Since 2008 IAG has been renowned for publishing “The Asian Gaming Power 50”. Anxiously awaited each year, The Asian Gaming Power 50 is an annual ranking of the 50 most influential and prominent Asian gaming industry leaders and executives. The Asian Gaming Power 50 is celebrated each November with a glamorous Black Tie Gala Dinner in a Macau Integrated Resort ballroom. IAG produces Macau After Dark (MAD), a quarterly series of casual industry networking social events held in Macau which brings together key industry decision-makers. IAG is the lead media partner for G2E Asia, Asia’s largest gaming and entertainment trade show. We also publish G2E Asia Daily, the daily newspaper of G2E Asia and co-organise the G2E Asia Awards with Reed Exhibitions. IAG has produced a range of industry conferences and seminars such as the Cambodia International Gaming Conference on behalf of the Ministry of Economy and Finance and the Ministry of Interior of the Kingdom of Cambodia, sessions for the G2E Asia conference and the Macao Gaming Show conference, and the highly acclaimed “Strategy and Leadership for Personal and Business Success” seminar series. IAG Consulting is IAG’s consulting business unit, which offers consulting and revenue support services for businesses exploring or operating in the Asian gaming and Integrated Resort industry. CalvinAyre.com is the most trafficked gambling industry news site with an average of over 100k unique users and 300k page views a month. We cover the global gambling industry from Las Vegas to Macau to Australia and everywhere in between. Our readers are a unique mix industry professionals, gamblers and media looking to stay on top of this fast-moving industry.  If you’re interested in raising your brands awareness in the global gambling industry, please contact us Advertise@CalvinAyre.com and we’ll customise a package suited to your needs. 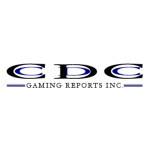 CDC Gaming Reports博彩报告, on the web at CDCGaming.asia, is the newly launched Chinese language site by the number one casino industry business publication in North America, CDCGamingReports.com. We offer unparalleled insight and analysis from award winning contributors who have 30+ years of experience in the gaming industry, and now select commentaries and news analysis is available in Chinese. Sign up today to receive our reports in your inbox. Focus Gaming News is a daily digital newsletter dedicated to international gaming executives. This insightful communications tool is received by more than 15,000 subscribers around the world and delivers up-to-date news from the gaming and iGaming business. The newsletter features news on regulation, legislation, casino, sports betting and online gaming, as well as reports on the latest products and trends, interviews with key specialists, and much. 20 March 2019: G2E Asia Awards - Nominations now open!